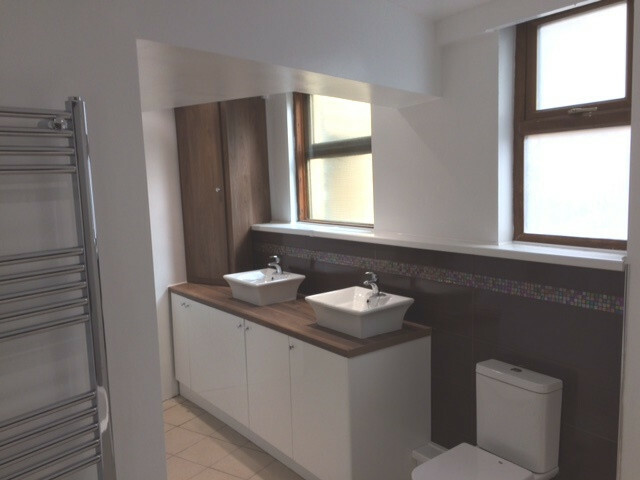 This spacious 7 bedroom apartment has two recently fitted modern bathrooms as well as a separate WC. The modern kitchen is well equipped with two fridge-freezers, washer dryer, dishwasher, oven and hob and microwave. There is a large separate lounge furnished with sofas, coffee table and TV. Each of the bedrooms is a comfortable size and is furnished with a double bed, bedside table, wardrobe, chest of drawers and study desk and chair.